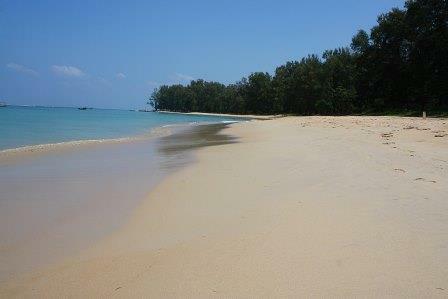 The lush Phuket island and the Phuket weather in July can be some of the best times to visit. Thailand has a tropical monsoonal climate and is generally warm all year long although it roughly varies between warm, cool and rainy, with the average yearly temperature being 29 degrees Celsius or 83 degrees Fahrenheit and an average of 8 hours of sunshine each day. There are generally two seasons, a hot season (high season), which is fairly dry and a green (rainy season) or (monsoon season), which is a little cooler and of course brings the rain. The hot or high season begins in late November early December and usually lasts until the end of March. 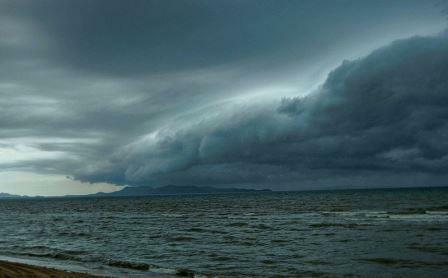 Don’t be caught out if you see a storm cloud coming your way. The Green season begins in April/May with June July and August are the best months for good Phuket Weather in the summer. September/October can bring some heavier rain. November, April, and May are normally transitional months and during these, the weather is rather hard to predict, although the months just before the green season, March, April and May are statistically the hottest and most humid time of the year for Phuket with the average temperature being 32/31 degrees Celsius or around 87/89 degrees Fahrenheit. July is the month when the weather normally has settled into summer time. Phuket Island is generally quieter, International Schools are on holiday and the West Coast beaches enjoying South Westerly currents and hence great surfing. Swimmers on the West Coast at this time need to take notice of the Lifeguards advice and follow the flags. Sometimes swimming is restricted due to the large waves and dangerous undercurrents but good news for the surfers and body boarders as July is when the surf season. The sea temperature in July remains at bath like temperatures around 30 degrees Celsius or 86 degrees Fahrenheit. Nai Harn beach in December can look just like this during the summer months. July’s average temperature does drop down slightly from the hottest months of March and April and vary in the mid-thirties, but, this drop can be offset by the rise in humidity levels, which is high day and night. The Average rainfall in July is around 290 mm it is not one of the wettest months, that title goes to September (440mm) or April (400mm). Please don’t be mistaken Phuket weather in July sounds like it just rains all day long, it’s doesn’t. There are good periods of sun and the showers often only last for an hour and do really help with the humidity if only for a couple of hours. The better weather during June, July and August will be mean fewer tourists, traffic and generally easier to get around, just not so packed. Don’t get too worried about the Phuket weather in July as Phuket is still heaps of fun and there are plenty of activities to do during the summer months whether it is raining or not. So much to do and some great offers on Accommodation, Car Hire, Tours and International flights to get here. And while I am here if the Phuket weather in July read about December weather, again with early accommodation offers Early December can be an excellent time to visit. We hope you have enjoyed the look forward to July Weather in Phuket and you can get regular updates on Phuket FM radio and also posts here looking forward to the next 30 days. Need updates direct to your inbox, just drop us your email here, we would be pleased to oblige. Before we go did you hear about the new Phuket Airport? Phuket Gets a 2nd Airport.